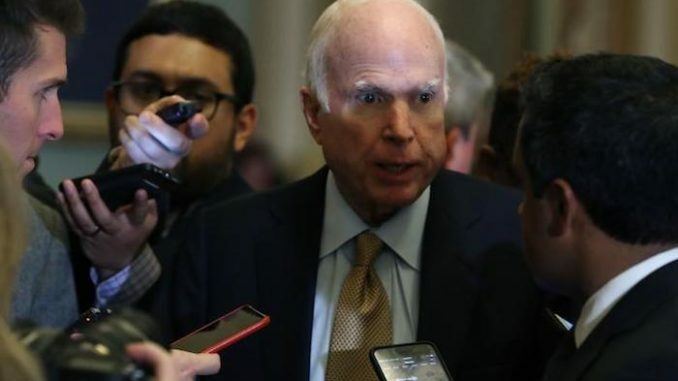 Newly released court records confirm that the late Senator John McCain pushed the fake Trump-Russia dossier to the FBI and to over a dozen left-wing journalists. Thegatewaypundit.com reports: Yesterday additional court filings were released that show that Kramer provided the fake dossier to multiple individuals in the media. In from September, former senior counterintelligence FBI agent Bill Priestap confirmed that the FBI received a copy of the first 33 pages of the dossier in December 2016 from McCain.